Delta Force Paintball has a fantastic selection of quality paintball markers for customers to use during their day of paintball with us. These include the Inferno Field Mk2, the Tippmann models, M16 Bravo One replica and the Mini-Ball Spyder. Each of our centres will supply the Inferno Field Mk2 semi-automatic paintball guns. These top quality feature a 300ft sightline, rapid fire (with up to 7 rounds per second! ), sculpted barrel, comfortable fore grip, metal stock, double trigger, integrated neck feed, de-clogging mechanism, , reliability and durability during game play and a sleek and stylish design. These guns operate on compressed air which makes them one of Delta Force’s most dependable and cost-effective pieces of equipment to date. 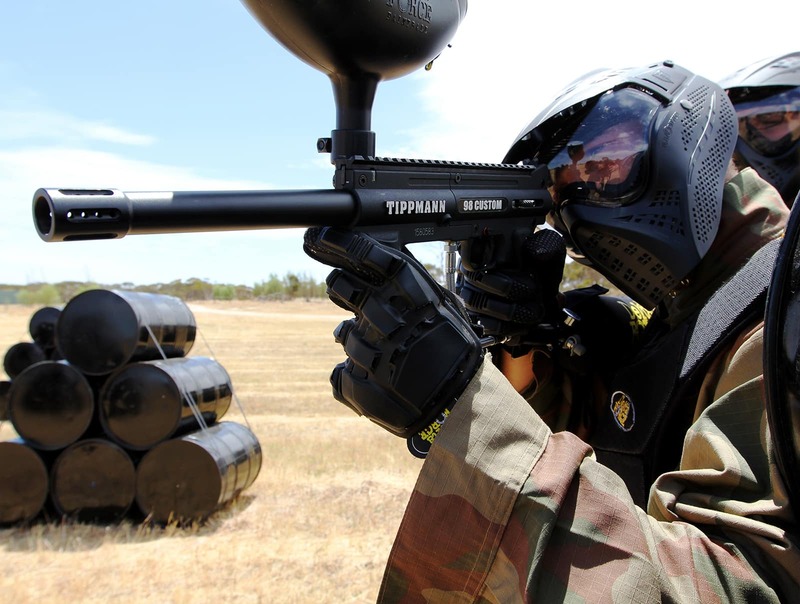 Many of our centres also offer the Tippman paintball markers (’98 model and the FT2-12). The Tippmann ’98 features an anti-chop system modification, so whatever the weather conditions, you’ll be able to fire with best accuracy and firepower, with increased stability. The second model, brought to market in 2012, is the flip-top Tippman FT122. It looks similar to the replica IMI Uxi used by Arnie in his classic film series, ‘The Terminator’. Key features include built-in sight (front and back), an 8-inch barrel and a superior grip, for better comfort and usability. We also offer an upgrade gun to customers, on a first-come-first-served basis. Our M16 Bravo One replica paintball markers are our most desirable. Not only do they look awesome, but they also feature an 11-inch barrel with built in sight, a collapsible stock and removable magazine. You’ll look and feel just like Rambo! But, if you want to get your hands on one of these guns, you can’t hang around! We only have a limited number available on the day at each of our UK centres, available for a £10 surcharge. Last, but by no means least, is the mini-ball Spyder 0.5 calibre paintball markers. These special guns are used for our exclusive mini paintball events specifically for children (aged 8-10). The Spyder is smaller and lighter than your average paintball gun and uses smaller paintballs. Consequently, less energy is released when the paintball strikes participants, resulting in a softer impact game. Perfect for children! 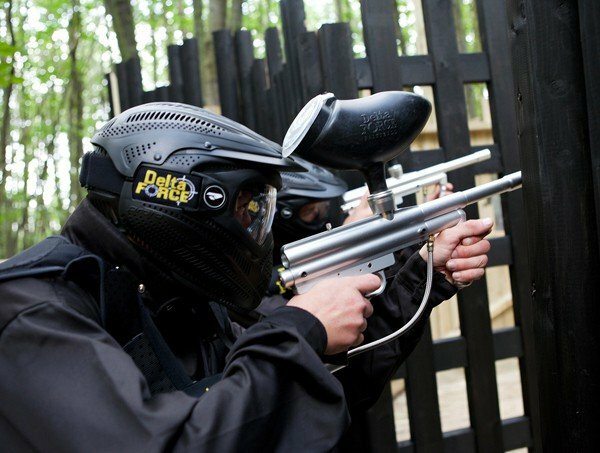 At present, mini paintball is available at the following centres: Surrey, Kent, East London, North West London, Southampton, Birmingham, Coventry, Leeds and Cardiff paintball centres.